But this referendum was about more than just the right to marry. Much, much more. 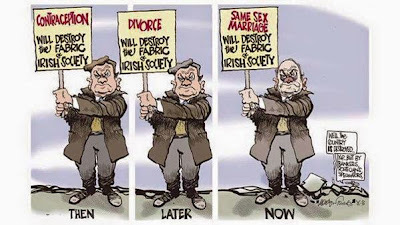 It was the manifestation of a social revolution that’s been simmering away in Ireland for some time. 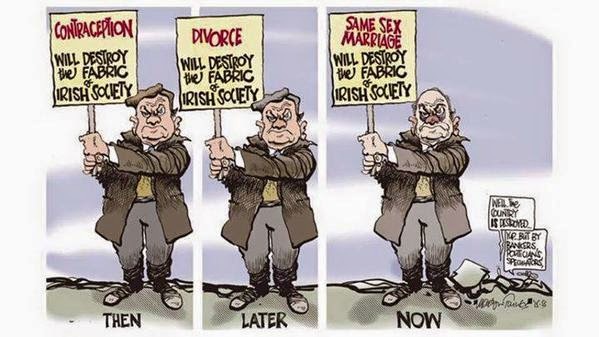 Shake off the last remnants of traditional religious authority, it was reasoned, and Ireland could finally join the 21st century. Au revoir, Father Ted. Tim Stanley, young fogeyish Christian bore in residence, The Daily Telegraph.